According to the PNN, he slammed the Israeli government as a “fascist body” that enforces policies of apartheid, racial oppression, and land grab across the occupied Palestinian territories. Al-Barghouthi called for a unified national strategy to face up to the Israeli occupation, and for ceasing all forms of normalization and coordination with such a colonizing entity. 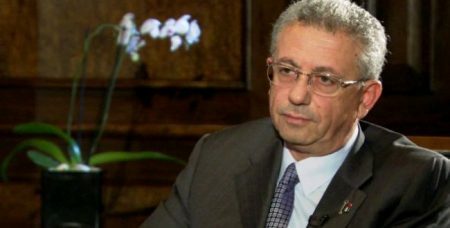 According to al-Barghouthi, Palestinians should no longer lay a bet on “stalled peace talks” with the Israeli occupation and the so-called two-state solution, dubbing them as signs of “hypocrisy” and an involvement in Israeli crimes against the Palestinians. “The Palestinians are determined to retrieve their freedom and dignity no matter the price,” he vowed. An Israeli bill legitimizing illegal settlement outposts in the occupied West Bank passed its first reading in the Knesset on Monday, with 60 MKs voting in favor of the bid, while 49 vetoed it. The bid will culminate in the legalization of 4,000 settlement units, along with dozens of other isolated houses and will also bring about a legalization of 3,125 illegal settlement units established on Palestinian lands, covering an overall area of 5,014 dunams.